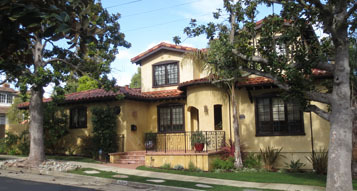 Another new California Spanish on a corner lot showing traditional and exceptional detailing along with articulated massing. All of these factors contribute to its overall beauty. This particular home was approved through the city's design review process.